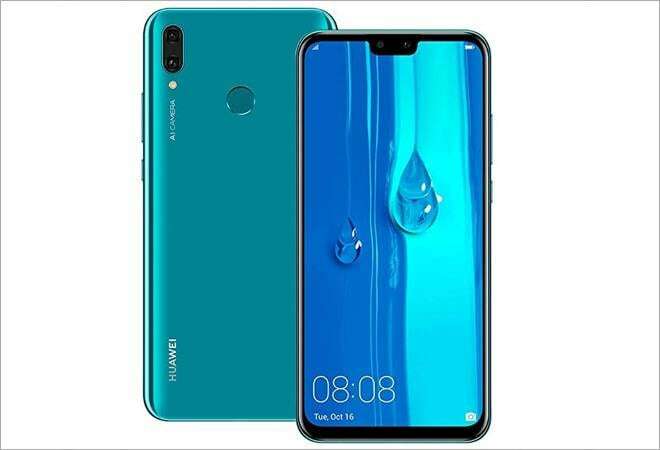 Chinese smartphone maker Huawei is all set to launch Huawei Y9 today at 11 am in New Delhi. This will be the first Y series model to launch in India. Huawei Y9 will be available exclusively on the Amazon India website. Y9 boasts of an elegant design, quad camera setup and a notched display. Amazon will be offering a pair of Bluetooth Boat Rockerz Sports headset with Y9 worth Rs 2,990. The phone was launched in Malaysia last year in October. The Huawei Y9 comes with a striking 3D design on the back. The back of the phone also houses the fingerprint sensor. It sports a 6.5-inch FHD+ (1080x2340) FullView display with a notch that house two selfie cameras. The phone comes in three colours - Midnight Black, Sapphire Blue and a gradient Aurora Purple. As far as the internals are concerned, Huawei Y9 runs an octa-core Kirin 710 chipset, just like the Honor 10 Lite. It is packed with 6GB of RAM and 128GB of internal storage. The phone also gets a 4,000mAh battery capacity that should large enough to last the whole day. Y9 is expected to come with Android Pie with EMUI 9 baked on top. The Huawei Y9's optics include dual cameras on the rear and front. On the back, it gets a 13MP primary sensor and a 2MP secondary sensor. On the front, the phone gets a 16MP and 2MP selfie configuration. The Huawei Y9 is expected to be priced at Rs 15,000 in India for the 4GB RAM version. The 6GB RAM version of the phone could come at Rs 20,400. The China pricing of the Huawei Y9 4GB RAM is 1,499 Yuan (approximately Rs 15,300). With the launch of Y9, Huawei will expand its Indian portfolio of smartphones. The company already offers the flagship Huawei Mate 20 Pro, Huawei P20 Pro, Huawei P20 Lite, Huawei Nova 3 and Huawei Nova 3i.